Some apps, such as Google maps, may require one or more location services be turned on for full functionality. 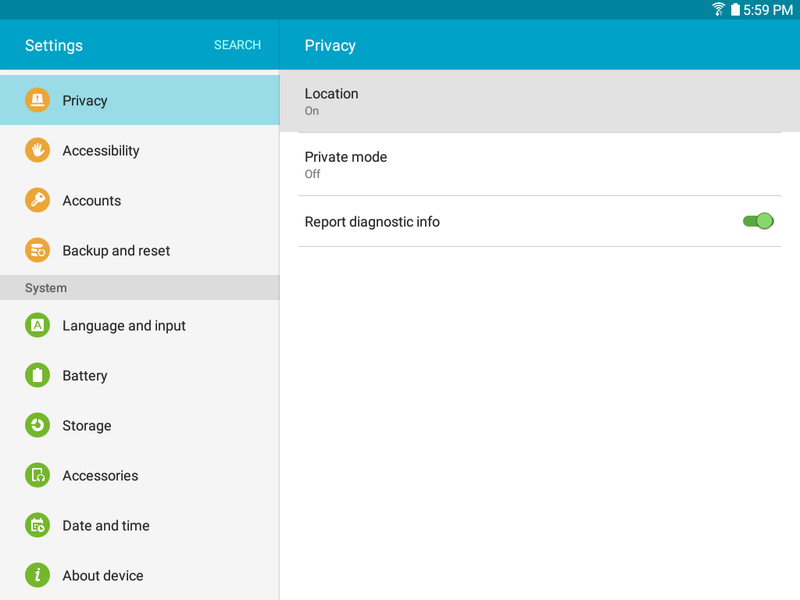 1 From a Home screen, touch Apps > Settings > Privacy > Location. 2 Touch ON/OFF to turn Location services on. • GPS and Wi-Fi: Use GPS and Wi-Fi to estimate your location. • Wi-Fi only: Use Wi-Fi to estimate your location. • GPS only: Use GPS only to estimate your location. Apps that have requested your location are listed under Recent location requests. 3 Touch an entry to view the app’s settings. 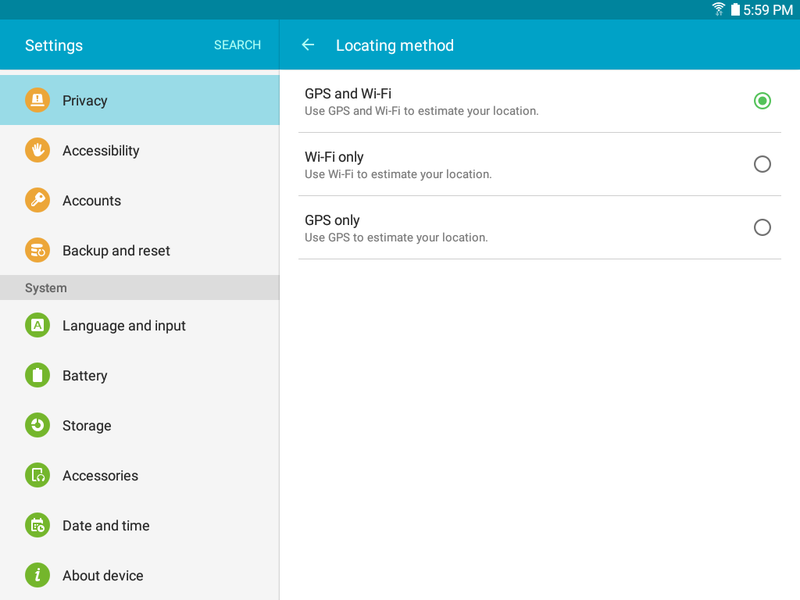 Google uses Location Reporting to store and use your device’s most recent location data. Google apps, such as Google Maps, can use this data to improve your search results based on places that you have visited. 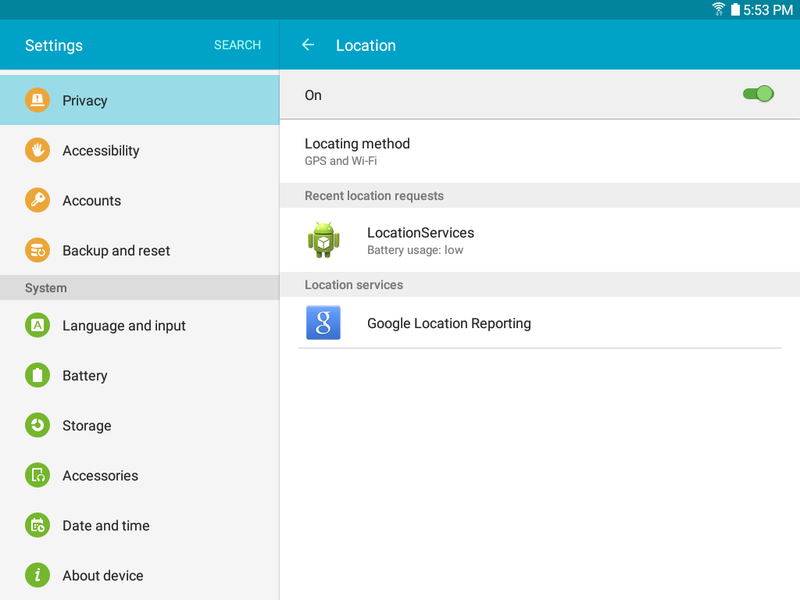 • Location Reporting: Allow Google apps to use your device’s most recent location data. 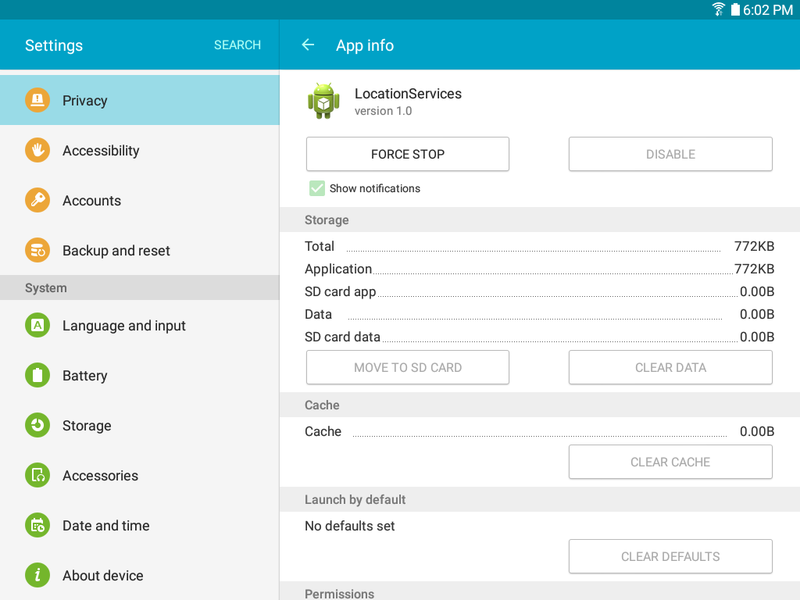 • Location History: Allow Google to store a history of your location data. Touch DELETE LOCATION HISTORY to permanently delete your location history.